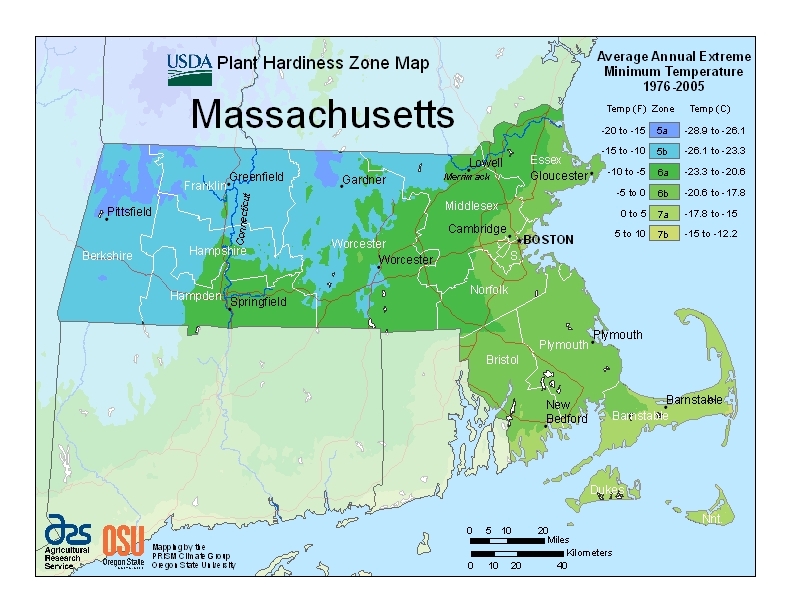 Costs – Find out what other tree owners in Springfield, Massachusetts are paying for services like tree pruning, cutting and removal. FAQs – The city of Springfield has an active city forestry service, along with some diseases and pests that tree owners need to be aware of before they plant new trees. Learn more about trees that thrive in the area. Services – Look at our list of local pros in your area to call the one closest to you today! How Much Do Tree Services Cost in Springfield? The larger the tree, the more dangerous it can be to maintain and remove. You may be in for some trouble if you decide to cut down or trim a large tree yourself without the basic knowledge and steps to do it safely. Find out what a licensed, bonded and insured tree service company charges in Springfield, Massachusetts and consider playing it safe by leaving this job to the professionals. Springfield residents can expect to pay an average of $600 to have a tree removed. Smaller trees will cost about $250, depending on root depth, while larger trees will roughly cost $1,200 to remove. Time and labor involved in tree removal will dictate the final cost. Removing stumps can be easily done, as long as the stump doesn’t have deep roots. An average estimate that Springfield residents will pay to remove a stump is $175 but can be as low as $60 and as high as $350 depending on the size of the stump. Some companies charge $2 to $3 per inch. For example, a stump that is 100 inches in diameter may cost $200 to $300 to remove. For larger stumps, stump grinding is a cheaper alternative compared to removing the stump. Costs estimate at $77 to $140 for medium size stumps and $80 to $140 for large stumps. It will take a tree service expert about two hours of labor to grind your tree stump down. If you live in Springfield, you can expect to pay $150 to $850 to maintain your trees and shrubs. Keep your trees looking healthy and strong year-round by annually trimming and pruning them. A professional tree service company is thoroughly trained to do this technique correctly. With more than 27,000 trees growing along its streets, parks and public and private properties, the city of Springfield, Massachusetts takes great pride in planting and maintaining its trees. The city’s forestry division, a division of its parks and recreation department, encourages residents and businesses to regularly care for their trees. Residents of Springfield must contact the city’s forestry division before cutting down certain healthy trees that grow on their private property. Springfield’s significant tree ordinance states that any healthy tree that is more than 36 inches in diameter or 75 years old, even if it is on personal, private property, cannot be cut down or trimmed without the owner obtaining a permit from the city’s leading official forester and the tree warden. This rule also pertains to street and roadway trees. Also, no work can be done to any tree within the city’s parks without first obtaining the approval of the forester and the park commissioner. For unhealthy trees, residents must contact the city forester in order to obtain a permit before cutting down the tree. With over 27,000 trees that grow along Springfield’s streets, parks and public properties, the city’s foresters must work on maintaining them all throughout the year, weather permitting. The most productive time to remove trees is during the seasonable weather conditions of spring and fall. Some trees, such as birches and maples that have a large sap content during the spring are cut at another time, while other trees such as the Dutch elm tree should only be cut at certain times of the year in order to avoid increasing the risk of insects and diseases. The city avoids planting large trees such as the honey locust tree which can cause infrastructure problems such as rippled roadways and sidewalks and pin oaks which produce dense canopies which are difficult to prune. Locust trees with large thorns also pose pruning problems. The forestry division of Springfield discourages its residents from planting trees that grow above 20 to 25 feet near electrical power lines. The electric company of Springfield, Western Massachusetts Electric, trims trees near its power lines up to 35 feet in the air on a regular basis. 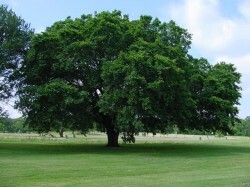 The official state tree of Massachusetts since 1941 is the American elm, scientifically known as Ulmus americana. This tree is also called the water elm or white elm. This elegant and hardy tree can grow as high as 140 feet, though it is susceptible to Dutch elm Disease. The state chose this tree to commemorate General George Washington’s taking command of his Continental Army below an American elm in 1775 on Cambridge Common in Cambridge. However, the city’s forestry division is working to replace many of the common trees because they are evasive and susceptible to diseases and bugs. Springfield’s foresters are moving more and more towards a wider variety of trees that are resistant to Dutch elm disease in the hopes of preserving their tree population and controlling future outbreaks and epidemics that have killed many of their trees in the past. Pests that have been problematic to many of the city’s trees are and the Asian longhorn beetle and the hemlock woolly adelgid. With newer tree varieties, such as the heritage river birch (Betula nigra), the city is able to reduce pest invasion of its trees. 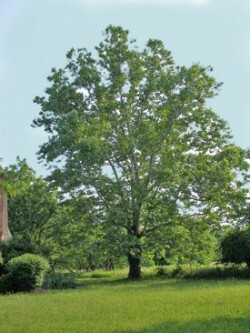 It’s interesting to note that the tallest trees that are found in Springfield are oak trees and tulip trees (Liriodendron tulipifera), also known as the yellow poplar. These trees grow more than 100 feet high. The shortest trees that grow in Springfield are the beautiful and highly ornamental Japanese maple trees. These trees grow 10 to 12 feet tall and only 6 to 8 feet wide, making them perfect trees for Springfield’s urban areas. Another common small urban tree in Springfield is the organic cherry tree that resembles the Japanese maple tree in size. Springfield has obtained several grants to assist them in growing orchards on school property and in parks. Fruit trees that are growing in the city include apple, pear, plum and paw paw trees. Springfield was hit by a tornado in 2011 that destroyed many of its trees. Since then, city officials have been working with the state on an energy tree planting project. The project consists of many non-profit groups and contractors that have planted 1,100 trees on the property of many homeowners and along streets and roadways with the purpose of studying the use of shade trees in connection with saving energy. The city of Springfield has been a “Tree City USA” for 27 years. Also interesting to note is that the forestry division of Springfield has been in existence since 1898 and may be one of the oldest forestry divisions in Massachusetts, predating the state laws on the care of public shade trees in 1903.